HILL AIR FORCE BASE, Utah — Twelve F-35A Lightning II aircraft and approximately 300 Team Hill Airmen from the active-duty 388th Fighter Wing and Reserve 419th Fighter Wing here departed Oct. 30, 2017, for a six-month deployment to Japan. The Hill AFB F-35s, assigned to the 34th Fighter Squadron (388th FW) and 419th FW, deployed as part of a preplanned theater security package. While this represents the first operational tasking of the F-35A in the U.S. Pacific Command area of responsibility, TSPs have been an integral part of the combatant command’s force posture since March 2004 and are meant to demonstrate the continuing U.S. commitment to stability and security in the Indo-Asia-Pacific region. This marks the Air Force’s second overseas deployment of the F-35A. The first was to RAF Lakenheath, United Kingdom, in April 2017. While a first in-theater for the F-35A, the U.S. Marine Corps F-35B variant has been stationed in the PACOM AOR at MCAS Iwakuni, Japan, since January 2017. 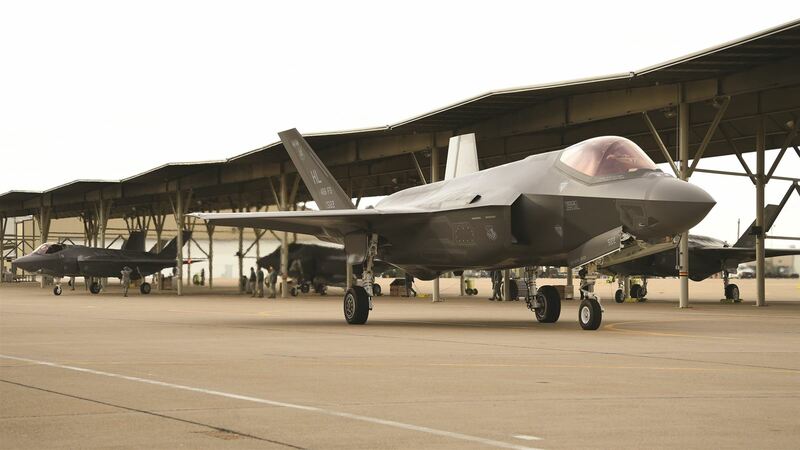 Regionally, the air forces of Australia, Japan, and the Republic of Korea have invested in the F-35 program, but none are operational in the theater.